Digitisation is occurring at a rapid rate, and businesses are scrambling to adapt. The focus of corporate strategy should now be shifted to implementing new digital initiatives aimed at increasing the efficiency of business. According to the 2015 McKinsey Global Institute (MGI) Report, Digital America: A tale of the haves and have-mores, the economy is currently entering the next phase of digitisation, with businesses continuing to push the boundaries of technology. The MGI Report suggests that by 2025, digitisation alone could boost GDP by up to $2.2 Trillion (USD)Click To TweetDigitisation is a process that involves continuous experimentation and adaptation. As digitisation and usage continue to skyrocket, corporations are reinventing the way they do business. 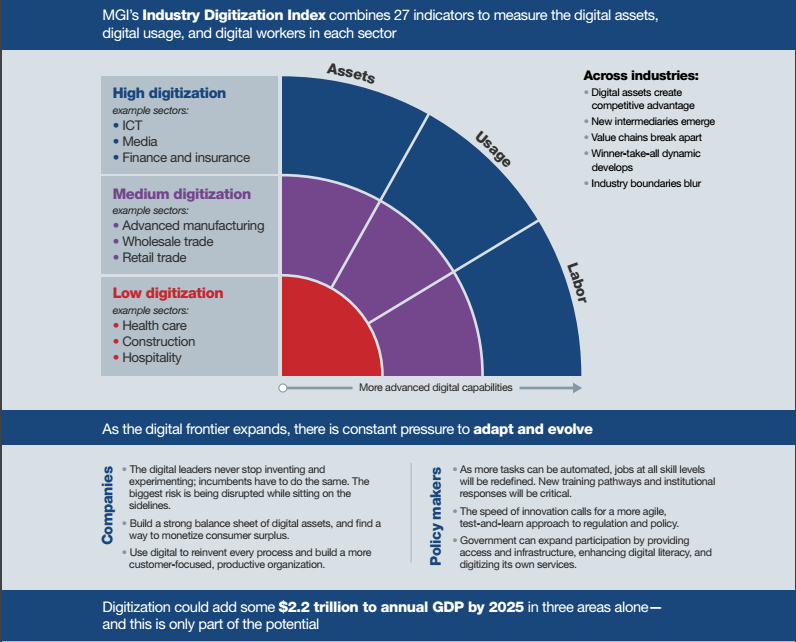 In the 2015 Report, MGI introduce the Industry Digitisation Index; combining several indicators to provide a comprehensive picture of where and how companies are digitising. Businesses that integrate digitisation and strategy naturally position themselves to capture more opportunities in the market, regardless of their size. The real value for businesses lies in leveraging their digital assets and capabilities; implementing these strengths to create new business models and competitive advantage. Companies are now utilising digital tools in order to increase operational efficiency, customer engagement, innovation, and productivity. According to the MGI report, businesses have to adapt and evolve their strategy in order to survive in the growing digital economy. Technology is transforming the nature of business, with innovation focusing on connectivity, platforms, data and software. In particular, the focus has shifted towards implementing digital communication platforms; providing companies with the opportunity to develop new business models for productivity and engagement. 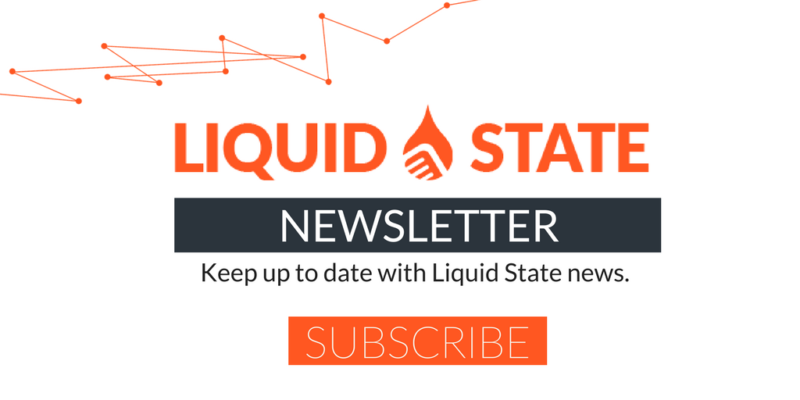 At Liquid State, we understand the importance of implementing digital tools as a part of corporate strategy, and how this can improve the efficiency of a business. Integrated communications solutions built with the Liquid State Platform allow businesses to digitise their communications, increasing workplace productivity and user engagement. With Liquid State, businesses can manage and deliver the right communications to the right people on the right devices. To find out what Liquid State can do for your business click here, or contact us now.